We believe wine should be a reflection not only of a time and place, but of the people who made it. Fine wine is truly living and breathing with a soul that is dynamic and evolving, yet grounded in its origins. We find beauty in its nuance and are charmed by its fickle nature. Onyare is our homage to the unspoiled beauty of the Finger Lakes, and the culmination of our passion to create wines with character that can be enjoyed for many years. Thijs was born in the Netherlands, but raised in France's Loire Valley in the heart of Muscadet. Although he grew up working in the kitchen in his family's restaurant, it was hard to ignore the surrounding countryside filled with vineyards. At the age of 15 he found himself working in the cellars of a local winery during harvest, and he was hooked. He enrolled in a private high school that specializes in viticulture and enology classes and went on to earn his Brevet Technicien Superieur (BTS) in Viticulture and Enology. Thijs has gained experience working for some of France's most well-known estates in the Loire Valley, Bordeaux, and Alsace. The first time Thijs stepped foot in the Finger Lakes it felt like he was returning home. 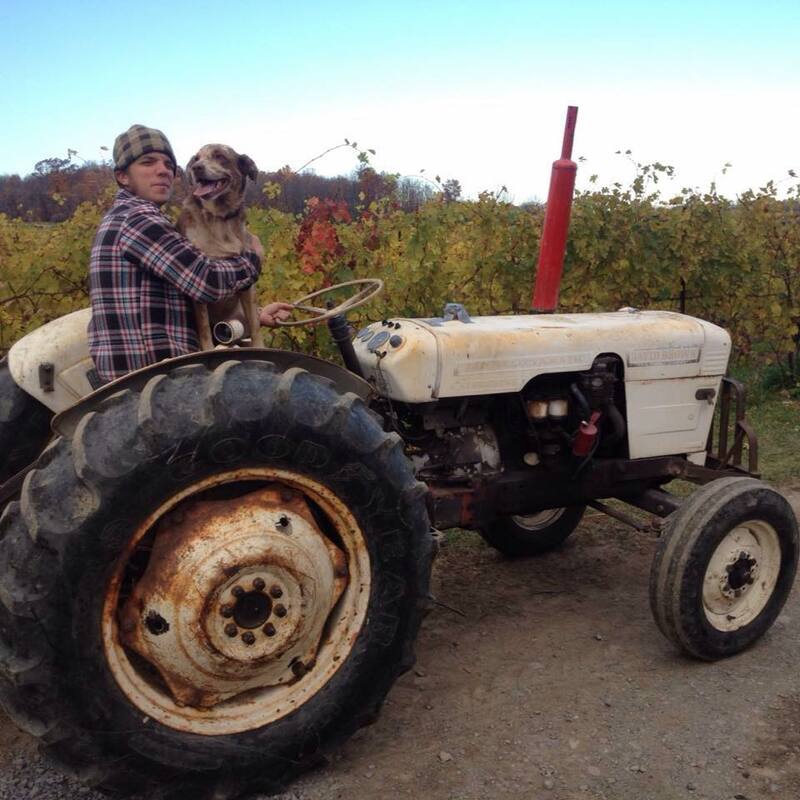 He enjoys working in a region full of small, family-owned wineries where grape-growing and winemaking aren't seen as so much of a luxury as they are a way of life. Katie was born and raised in Minnesota, and became intrigued by the wine industry after enrolling in a wine appreciation course her last semester in college. After completing her B.S. in Biology, she decided to continue learning about wine by taking a sommelier course in the south of France. She discovered that she was fascinated with the nuances of how vineyard and cellar practices influence a wine's flavor, so she began learning about production by becoming a cellar rat - first in Napa Valley, then in Argentina. She continued her studies in Enology by enrolling at L'Institut Jules Guyot at the University of Burgundy and earning a Diplôme National d'Oenologie (DNO) in 2009. She is in good company as one of only a handful of American winemakers who have completed this rigorous program. 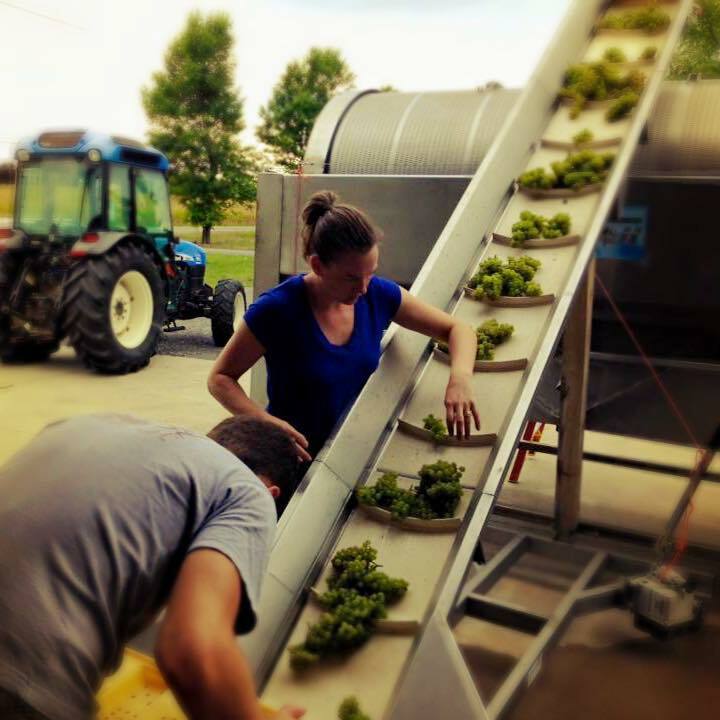 While in France, Katie completed three harvests which included a six-month stage in Alsace where she fell in love with the chameleon-like character of Riesling. She followed up with a vintage in Western Australia to explore Riesling from a very different terroir. After tasting the quality of the wines in the Finger Lakes, she was excited about the idea of further exploring the region's potential and making New York her home. Though Thijs and Katie both gained their love for wine in France, they found each other through the chance circumstance of being in Minnesota during the same period. When Thijs' time was finished in Minnesota, he returned to France and continued working for wineries in Muscadet. Thijs and Katie maintained a long-distance courtship that included rendezvous in impossibly romantic locations like Paris, the Loire Valley, and Tuscany. It was perhaps while drinking wine and roasting chestnuts over an open fire in Tuscany that they began seriously talking about their future together, and starting the plans to one day create wines that they were passionate about, and inspire passion in others. Onyare is the culmination of this dream.